Just in time for the Charleston Conference, Hypothesis and Ingenta are pleased to announce an integration of Hypothesis annotation technology across the Ingenta Connect and Ingenta Open platforms. Ingenta serves over 400 trade and scholarly publishers, including HarperCollins, McGraw-Hill, Macmillan, Elsevier, Springer, Sage, BMJ Group, IOP, the IET, OECD, Brill, AIP Publishing, American Society for Microbiology, BioOne and the Christian Science Monitor. Ingenta Connect offers one of the most comprehensive collections of academic and professional research articles online — some 4.5 million articles from 13,500 publications, servicing almost 90,000 registered librarians globally and over one million users per day. Open access content hosted on Ingenta Open, live in January 2018, will be visible to institutions and users in over 170 countries, including China, with linking and distribution agreements in place with over 350 partners. This collaboration, which should be complete by the end of 2017, will make it easier for publishers and readers to bring public, private, and group annotation to content hosted by Ingenta. Publishers are continually discovering new ways that annotation technology can be used among collaboration teams internally and externally — for editorial discussions, collaboration of production and remote vendor teams, connecting media mentions to articles, even as a society member benefit. Also, as the SciBot project has shown, information behind identifiers such as RRIDs (Research Resource Identifiers) can be displayed in the form of annotation cards, so users do not have to navigate away from content to see rich, additional information. 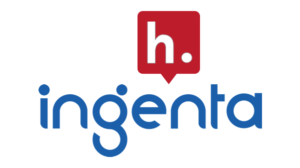 Publishers using Ingenta platforms can learn more about annotation, Hypothesis, and how they can start offering annotation in their Ingenta publications by contacting Heather Staines, Director of Partnerships at Hypothesis. Ingenta is the world-leading provider of content solutions that transform business. We cover the publishing process from end to end with our suite of commercial products, CMS and advertising solutions and content services packages. Combining our unmatched publishing knowledge, global operations and customer support with our extensive technology and service products, we offer the industry’s only full spectrum of solutions to help publishers. Hypothesis is a US 501(c)3 nonprofit organization dedicated to the development and spread of open, standards-based annotation technologies and practices that enable anyone to annotate anywhere, helping humans reason more effectively together through a shared, collaborative discussion layer over all knowledge. Hypothesis is based in San Francisco, CA with a team distributed all over the world.